Bec Melrose is a writer, comedian and storyteller from Sydney. She recently won RAW Comedy 2018 and works as a content manager and story strategist. Bec Melrose's upcoming show Ibis chronicles the plight of ibises forced to make a life for themselves in the urban sprawl of Sydney. Ibis: Your City, Our Bins chronicles the arrival of ibises displaced from their wetlands homes and forced to adapt the urban sprawl of Sydney. In an hour of comedic storytelling, music, cooking classes, anatomy lessons and a special guest from Ibis’ past, Ibis tries to connect Sydneysiders with their much reviled bin pals. Ibis and Gran moved to Sydney in 1998 after they were forcibly displaced from their wetland home by the build of Sydney Olympic Park. Ibis' father was crushed by a Komatsu D475-3 bulldozer as he stood his ground as part of the nonviolent resistance and Ibises' mother died during laying. The move to Sydney was difficult, but Ibis and Gran managed to find their talons in the urban sprawl of Sydney. Today, Ibis works with young ibises to help them build their confidence in leadership and is a passionate advocate for the rights of Ibises in urban areas. 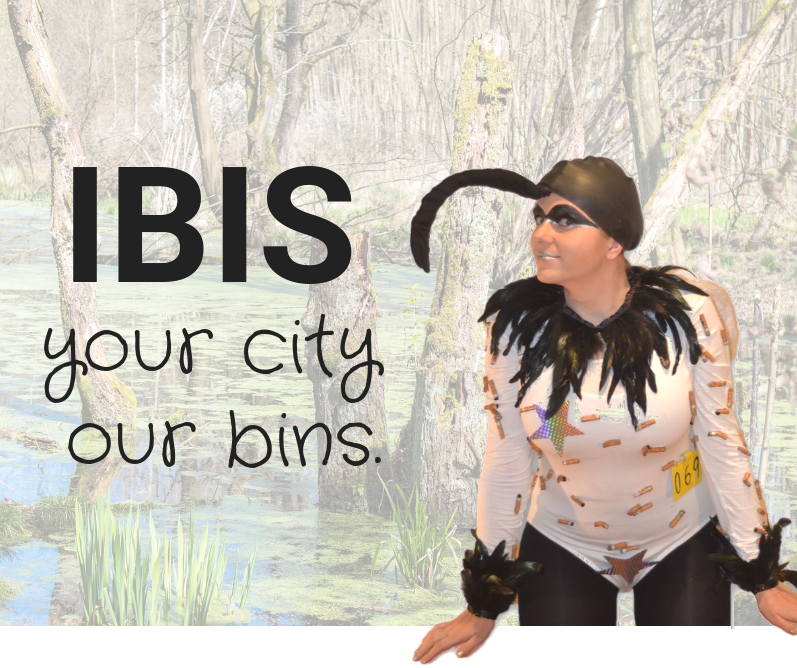 Ibis' upcoming show Your City, Our Bins chronicles the struggles and triumphs of a bird who just wants to belong. Gran is terribly proud of the bird Ibis has become. You can follow Ibis on Facebook.